Would you like to gain the ability of a Celebrity pro presenter in just a few days with super fast results? Is your aim to establish yourself as the go-to expert of your field for UK and international audiences? Is your goal to create consistent and original content for your YouTube channel, online coaching material, live video streaming, webinars, or podcasts? Would you like to learn how to broadcast professional output from your very own home, office or anywhere in the world? Are you looking to promote a book or business? Or perhaps you’re required to give on-camera interviews or make public presentations? Would you like to learn how to create, film and edit professional content via your smartphone or DSLR camera? ‘Superstar Success’ is our five day top-tier course designed to provide you with quicker results by combining The Novice, The Professional and The Expert levels into one incredible experience. If you need to master the art of presenting on-camera for your business, YouTube channel, social media, presentations and pitches, or even your own TV show, the possibilities are endless! This course is exclusively for clients who are serious about attracting and connecting with wider audiences to an Expert level in a short time frame. It’s particularly useful for entrepreneurs, leaders, spokespeople and influencers who are determined to quickly develop an authentic and highly capable on-camera presence. 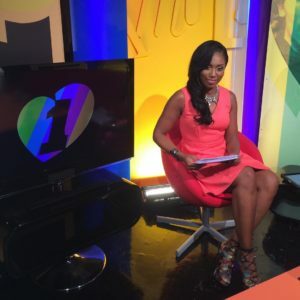 This is unlike any other media training course and has been created by mainstream, award-winning TV Presenters who have over 100 years of experience between them! ‘Superstar Success’ is a unique, high quality training program, jam-packed with valuable presentation training you cannot find anywhere else! ‘The Expert’: Smartphone Film Academy which teaches everything you need to know in producing your very own content for Youtube or online video media via your smartphone or DSLR camera. Including how to present, film and edit your own videos, as well as choosing the right style of music and graphics to suit your brand! Learn the formula for producing your own professional on-screen presentations and promotional videos. What is the Smartphone Film Academy? ‘The Expert’: Smartphone Film Academy in a one day video production practical workshop, which teaches everything you need to know in producing your very own content for Youtube, webinars, online coaching courses, promotional videos and online media via your smartphone or DSLR camera! Learn how to present, film and edit your own videos, as well as choosing the right style of music and graphics to suit your brand! This training is incredibly useful for those who are determined to fast track toward an authentic, confident and highly capable on-camera presence. It compliments The Novice and The Professional courses and once completed you’ll become The Expert! Our ‘Superstar Success’ five day master class gives you the opportunity to both network with other professionals and receive personal one-on-one instruction from our panel of Industry Experts. Each instructor brings years of mainstream front line experience that will help you begin your international broadcasting success story. We keep the groups small and exclusive to ensure you receive the training and attention you need to reach your full potential. 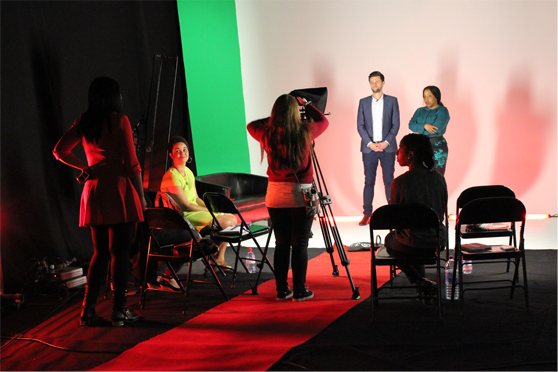 You’ll have the opportunity to train within a real TV studio alongside our production crew, and we will conclude our hard work with a VIP screening of your work alongside a personalised feedback session, certificate ceremony and “wrap party”! Did you ever think you could be broadcasting high quality content from your very own home or any location of your choice, whilst using video as a tool to massively grow your business? The benefits are endless! The Red Carpet Academy is here to help you become a recognised industry expert in your field within a fraction of the time we did. Follow us and don't miss a thing! Copyright © 2019 The Red Carpet Academy, All rights reserved.